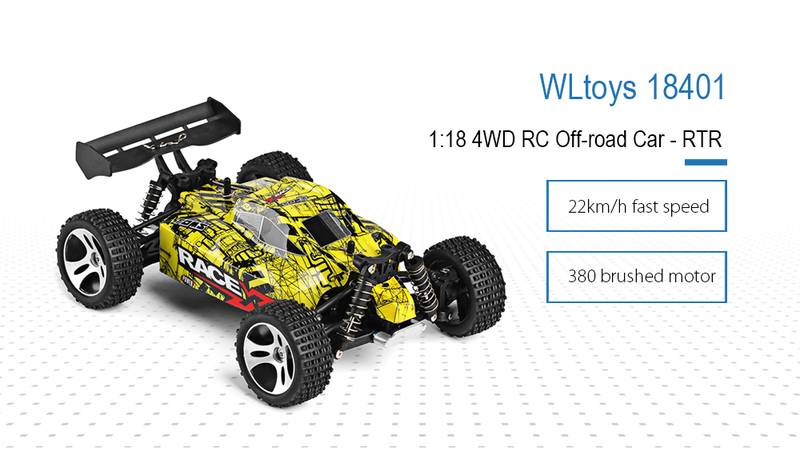 WLtoys 18401 is a nice RC car intended for off-road racing. 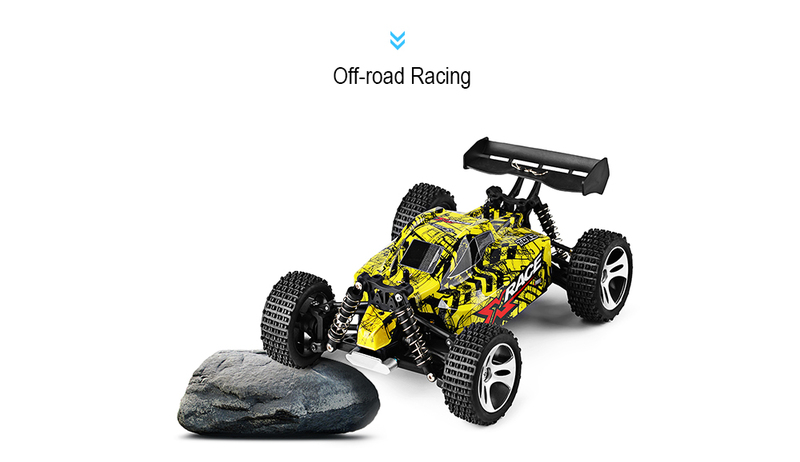 Equipped with 380 brushed motor, the RC vehicle can immediately accelerate to the highest speed - 22km/h. 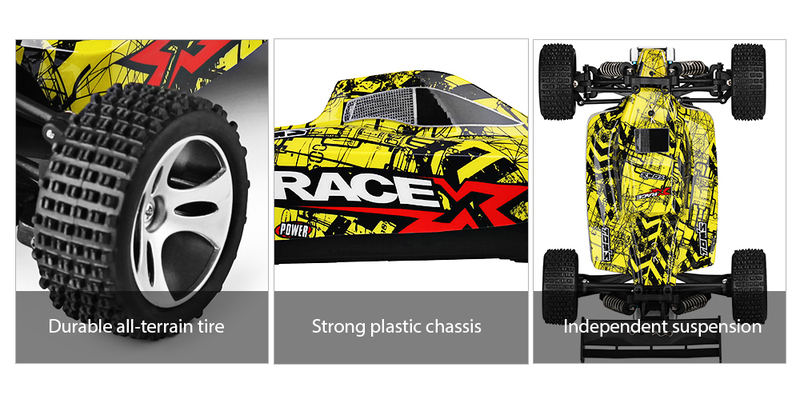 The thick plastic chassis, independent suspension, all-terrain tire, as well as the shock absorbers ensure the high performance of the electronic components inside. 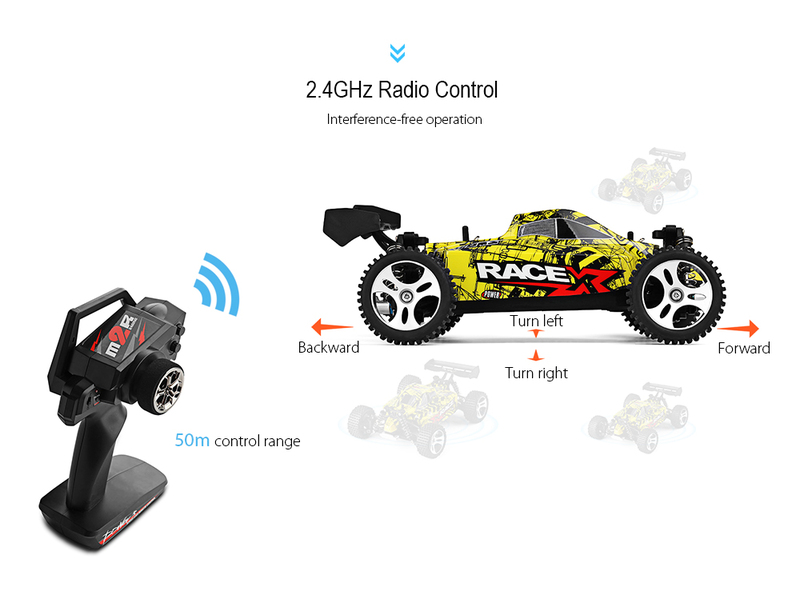 Thanks to the 2.4GHz radio control system, you can enjoy steering the car even though there are multiple players nearby.